What are your feelings after Monaco? We had a bad result on Sunday in Monaco; that was clear for anyone to see. It could have been even worse, but it could have been much better as well. We came out with one point so at least we got something back after losing the solid fifth place, but thatâ€™s not much consolation. The car felt good for qualifying and the race which is a positive as it was another circuit â€“ and a difficult circuit â€“ where weâ€™ve been able to have the car pretty much as we wanted. We still lack just a little bit of speed in qualifying sometimes, but our race pace was good again; not that you can show that when youâ€™re stuck behind slower cars like we saw in Monaco. We donâ€™t know how the car will be in MontrÃ©al â€“ we will have the answer to that question soon â€“ but thereâ€™s no reason why we shouldnâ€™t be competitive again. Well, that was a bit different as I had fresh tyres and we should never have been in that position in the first place, but it was good to at least get a point at the end. In a way, it almost makes it more frustrating as when we had the clean air after the pit stop it was probably the first time you saw how quick our car really was. You were pretty frustrated after the race? No-one wants to lose so many points thanks to the actions of another driver, but that race is over; Monaco is just a distant memory and Iâ€™m all ready for Canada. Whatâ€™s your opinion of Canada? I have won there which was pretty good, but I have experienced some setbacks there as well. Many times the race has been quite a lottery as there seem to be different things which affect it. The weather can change a lot, sometimes the tyres or the track arenâ€™t working very well, sometimes there are a lot of safety cars, or sometimes another driver runs into the back of you when youâ€™re waiting at a red light. As for the place itself, Iâ€™ve always liked MontrÃ©al. It is one of the nicest cities we visit all year. What do you need for a good result in Canada? A good car. Like at every circuit you need to get the set-up exactly right. You need a well-balanced chassis in the medium downforce configuration and you donâ€™t want to be too hard on brakes as thereâ€™s a lot of aggressive braking there. Itâ€™s something I quite enjoy, the stop and go style of the circuit. Is MontrÃ©al another circuit where qualifying is crucial? Qualifying is important at every circuit, but not as essential as it was in Monaco to get a good result. Itâ€™s not easy to get past, but there are one or two places to overtake. What are your thoughts on the Championship after losing ground to Sebastian Vettel? For sure we lost ground on the lead in Monaco, but itâ€™s not over yet. Itâ€™s still early in the season and twenty-one points behind is not too much to catch up; especially if Sebastian has a bad weekend too at some point. The most important thing is that we return to our race level before Monaco to get things going our way as soon as possible. It was an eventful weekend for you in Monacoâ€¦ what are your thoughts now youâ€™ve been able to reflect? It was certainly a rollercoaster, and one where we could have achieved a lot more with the pace of the car. No-one wants to make contact with the barriers at Monaco and itâ€™s a fine balance between going fast and going too fast; thereâ€™s such a tiny margin for error as I found out. The positives are that we significantly improved the car again to make it more predictable over the weekend and that helped me a lot. I think we had the pace to be in the top three, but unfortunately we didnâ€™t get the qualifying position we wanted and itâ€™s almost impossible to move up the order in Monaco. I got caught out behind Daniel [Ricciardo] and will have to suffer quite a harsh penalty of ten places on the MontrÃ©al grid, but weâ€™ll be working hard to devise the best strategy to work back up the order. You said youâ€™d buy your crew some drinks for all the work they put in over the Monaco weekend; have you had a chance to do this yet? Not yet, but Iâ€™ll treat them to a special dinner later in the year; hopefully when weâ€™ve got something good to celebrate. Last year you went from seventh to second in MontrÃ©al; can you repeat that kind of performance in 2013? Yes, last year we had a fantastic result at this race and weâ€™ll certainly be trying for a fantastic result once more. For sure it will be a bit more difficult with the penalty, but weâ€™ll take the challenge and do the very best we can. 2012 was your first time racing in MontrÃ©al, but you learnt the track pretty well? The track is interesting; not an easy one to learn, but as we say most of the time if you have a good result then you like the track! Iâ€™d certainly like to finish this yearâ€™s race on the podium again; that would be a good record to maintain. The cityâ€™s great too. People speak French, the place is lively, there are some great restaurants and everybody is really welcoming. Have you raced the circuit in any other form? Itâ€™s true that itâ€™s my favourite circuit on the Xbox, though itâ€™s certainly bumpier in real life than sat at home on your sofa! You like street circuits and were quick in Monaco; can we expect more of the same pace at the Circuit Gilles-Villeneuve? I enjoy the sensation of being close to the walls; although as I learnt this year in Monacoâ€¦ I donâ€™t enjoy the sensation of being too close to the walls! MontrÃ©al is different from Monaco as there are some long straights and big braking moments. The track surface can also present challenges as weâ€™ve seen in past seasons, so it will be interesting to see what the grip level is like this year. Finally, the weather in MontrÃ©al can be quite changeable as weâ€™ve seen many times. Iâ€™m sure itâ€™ll be a challenging and exciting Grand Prix. Does the Canadian event present any particular challenges, being a long haul amidst the European season? I arrive a little earlier to help beat the jet lag. Sometimes the challenge of beating the jet lag and getting a decent sleep can be as hard to solve as finding the right setup for the car! Iâ€™ll be getting plenty of exercise and hopefully getting some good sleep at the right time too! Itâ€™s been a mixed season for you so far; how would you assess it? On paper it's not as good as we would have wanted it to be, but I'm happy with all my performances so far except for Monaco. I have been doing my best every time, the pace is there and every time we manage to improve the car. I just have to keep doing my best and see where we go from there. Yes, we donâ€™t want another sporting weekend like that. Despite the negatives of the result however, there are positives. Once more our car was competitive at a very different venue and we have now shown we can compete on all types of circuit. We have also maintained a good rate of development with the E21 relative to our opposition which bodes well for the rest of the season. As a weekend it was very frustrating, yes, but Monaco is often like that. How would you rate the driverâ€™s performances in Monte Carlo? 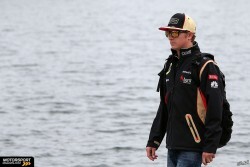 Kimi had a strong drive on Sunday and was in an easy fifth position until the incident with Sergio [Perez]. Although we were better in terms of race pace than those ahead, itâ€™s almost impossible to overtake in Monaco and there were no mistakes or issues from the cars in front, so he became stuck in a train for most of the race. When forced to make a final pit stop towards the end, he was able to show some of the potential in the car; passing others at ease. I think this demonstrates just how talented he is â€“ to have made up those places around Monaco without any drama â€“ and perhaps also a little bit of how angry he was at losing fifth place and the points he would have otherwise scored. Romain had great pace all weekend, but got frustrated in the race as he wasnâ€™t able to fight for the kind of positions he ought to have after getting caught out behind a slower driver in the drying qualifying session and ending up thirteenth on the grid. He drove strongly to finish on the podium in Bahrain and should â€“ according to our simulations â€“ have finished in third position before his suspension failed in Barcelona, but Monaco was a frustrating weekend for him. Despite this, weâ€™re sure heâ€™ll be able to press the reset button and go to MontrÃ©al ready to focus on getting another good result. MontrÃ©al was a good weekend for the team last year; does that help with the mindset? Yes we did well there last year and yes itâ€™s good in terms of the memories, but that doesnâ€™t mean weâ€™ll necessarily do well there this year. What we do know is that this yearâ€™s car is strong and has performed well on all different types of track layout, so itâ€™s reasonable to expect a good weekend in Canada. I donâ€™t think it will be an easy weekend, but weâ€™ll be disappointed if both cars arenâ€™t close to â€“ or on â€“ the podium. Tyres are a hot topic once again; for many reasons? To have one team running this seasonâ€™s car in a private test with the sportâ€™s sole tyre supplier is unusual to say the least; especially if no-one is told about it in advance, or even afterwards. Had we been offered the same opportunity in a legitimate and transparent fashion â€“ where all teams agreed â€“ we would have welcomed it. Certainly what has happened appears to be against the Sporting Regulations and the teamsâ€™ testing agreement, so it will be interesting to hear the outcome of the on-going activity regarding this matter. The team has slipped a little in both Championships after Monaco; can we fight back? As long as Monaco was just a minor blip â€“ and thereâ€™s nothing to suggest that it wasnâ€™t â€“ thereâ€™s no evidence to suggest we canâ€™t return to consistently strong performances and be back in the reckoning for big points. One bad race in nineteen doesnâ€™t define your Championship; we just need to ensure that we donâ€™t have another weekend like Monaco. Now weâ€™ve had some time to digest, whatâ€™s the feeling after Monaco? Kimi qualified and raced where we expected him to at a circuit where it is virtually impossible to overtake, although some drivers were a little bit â€“ shall we say â€“ ambitious in their passing attempts. He would have finished fifth were it not for Sergio [Perez] being too aggressive. Romain had a weekend heâ€™d rather forget, but now heads to a circuit where he performed excellently last year with his second place. Thereâ€™s no reason why he shouldnâ€™t put in another excellent performance this year, albeit with the added challenge of his ten place grid penalty. What are the considerations for MontrÃ©al? Itâ€™s the first circuit we run at with a medium downforce level. Monaco is super high and everywhere else weâ€™ve visited so far is high, so it will be interesting to validate our performance with lower downforce levels on the car. There are similarities to Monaco; no real high speed corners, with most turns taken in first or second gear and the kerbs used for the majority of them. As most of the corners are chicanes, you have a set-up trade-off between sufficient roll stiffness to allow the driver to have a sharp car for change of direction, but with suspension soft enough to ride over the kerbs. The track used to be very bumpy â€“ especially under braking â€“ but recent resurfacing has improved this enormously. Talking of brakes, theyâ€™re used rather a lot around MontrÃ©al? Itâ€™s the highest brake energy circuit of the year, but this wonâ€™t pose any significant problems. In years gone by we would have spent a lot of the weekend focusing on brake wear and ensuring we werenâ€™t running too hot. Brake disc development over the past five years means this isnâ€™t an issue or concern anymore. Our focus will be ensuring the brake temperatures are in the optimal range for operation and ensuring the brakes are matched at both front and rear for stability. Traditionally this circuit is fairly easy on tyres thanks to a smooth track surface. Weâ€™ll use Pirelliâ€™s super soft and medium compounds to the original, non-revised 2013 constructions for the race. In the practice sessions we will have an opportunity to sample some development tyres; two sets per driver with a new rear construction. Last year was a mixture of one and two stop strategies and itâ€™s reasonable to expect a similar approach this year; depending on the conditions experienced in the race of course. For Romain we will be looking at all the options and seeing if thereâ€™s anything different we can do to help vault him up the order, as he will be starting out of position thanks to his penalty. We went well with both cars last year and thereâ€™s nothing to suggest we shouldnâ€™t go well this year. Itâ€™s fair to say the weather can sometimes throw a curve ball in Canada? The weather can be pretty variable and itâ€™s not unlike Melbourne in this regard; it can be really hot one day, then freezing cold the next day. Average temperatures would be in the mid 20s, but you can have 15Â°C or 30Â°C. Fortunately we donâ€™t see too much wildlife on track, but it is a circuit where we tend to pick up a lot of debris â€“ whether from the long straights or the park location â€“ and this is something we factor in when setting cooling levels, as car temperatures will increase during the race through radiator blockage from rubber, leaves and other assorted debris. Anything new to bolt on the car? We have a revised aero package, with track specific front and rear wings as well as an update to the floor. There arenâ€™t too many changes for this race, but looking ahead to the subsequent Grand Prix we have a revised bodywork package for Silverstone. Turns 1 & 2: Braking from over 300km/h into the slow combination of turns 1 and 2 has seen some great wheel to wheel action over the years. A crucial corner, especially on the opening lap. Turns 3 & 4: A fast right-left chicane, where the drivers need to ride the kerbs for the quickest line. Turns 6 & 7: Another chicane; this time left-right and much lower speed than the first, with the drivers needing to ride the kerbs once again for the fastest route. Turn 8: A 300km/h+ straight leads into a third chicane â€“ right-left once more â€“ which requires quick direction change and good kerb riding capabilities from the car. Turn 10: Famous for brave moves â€“ in some cases too brave â€“ turn 10 provides another heavy braking area from in excess of 300km/h to around 100km/h. Turn 13: The fastest section of the track, with maximum speeds of around 330km/h followed by heavy braking and a need to ride the kerbs heavily through the chicane. The exit of the second part of the chicane is bordered by the famous â€˜Wall of Championsâ€™ which has caught out many championship winning drivers over the years. Rear Wing: A different family of rear wing is unleashed for MontrÃ©al as the layout requires a low to medium downforce package; somewhat removed from the higher downforce configurations of previous circuits so far this year. Front Wing: As with the rear wing, lower downforce is required than at previous venues as part of the low to medium downforce package. Suspension: The track layout requires a compromise between running the car as soft as you dare to be able to ride the kerbs, whilst maintaining quick change of direction through the many chicanes. Brakes: The demands on brakes are far higher here than at any other track, and a lot of Friday running will be dedicated to monitoring brake temperatures in order to evaluate and simulate race performance. Engine: Itâ€™s quite a harsh circuit for the engine, with long periods spent at full throttle accelerating out of the slow corners and along the straights. It is not a particularly severe layout for the gearbox however. Tyres: This will be the second race where we see the combination of medium and super soft Pirelli compounds; Australia being the first. The original, non-revised 2013 constructions will be used for the race while in the practice sessions we will have an opportunity to sample some development tyres; two sets per driver with a new rear construction. The track surface is smooth, though not as smooth as Monaco. There are relatively low energies going through the tyres, although the potential ambient temperature can range from 15Â°C to 35Â°C which affects performance. Lotus F1 Teamâ€™s Enstone headquarters provided the backdrop for Official Team Partner Optimal Payments to host an industry thought-leadership event. Guests to the factory spent the day experiencing behind-the-scenes action with the team and participating in online payments information sharing sessions with Optimalâ€™s senior executives, partners, merchants, and various industry experts. â€œWith online payments being a key component for ecommerce businesses, we were pleased to be able to give our merchants access to respected industry experts; sharing their knowledge on emerging trends,â€� said Chantal Willis, VP Sales, Optimal Payments. When Lotus F1 Team hits the track, itâ€™s the culmination of thousands of hours of teamwork allocated to designing, building, testing, maintaining, and perfecting each aspect of the car. In the world of online payments, the same is also true; no company makes it to pole position alone. Optimal not only works with a wide range of partners â€“ including leading-edge technology providers, financial institutions, fraud and risk management services â€“ to deliver comprehensive online payment solutions, but also believes it is important to continuously share knowledge that can help merchants increase revenues, reduce costs, and mitigate fraud risks. As part of the dayâ€™s events, Optimal challenged its merchants and partners to a race in the state-of-the art Lotus F1 Team simulator machines; a true test of stamina, skill, speed, and pace. These are all qualities which are just as important for companies in the payments industry as they are for Lotus F1 Team. What sets Optimal apart from the competition is not just how quickly they respond to market demand, but how they respond; making sure they set the right pace with the right product at the right time. Optimal believe the key to successful innovation is implementing a business strategy based on evolution and adaptation. David Jokinen, VP Product, Optimal Payments commented: â€œYour payments provider should work with you as a long term partner, offering multiple payment options into a single service, providing access via new channels, and offering customisation to suit your business and customers. It wonâ€™t have escaped the attention of many that the Monaco Grand Prix proved something of a landmark event in Lotus F1 Teamâ€™s digital calendar; the appearance of global superstars Daft Punk sending engagement levels into orbit throughout the weekend and across each and every social media platform. Kicking off with YouTube, a series of eleven short â€˜teaserâ€™ clips and one spectacular trailer released in the build-up to the race generated quite a stir amongst music and racing fans alike; generating over 500,000 combined views to date and a great deal of debate as to what would occur during the weekend itself. Facebook and Google+ generated an equally impressive rate of engagement around the entrance of our robotic crew members; more than 12,000 â€˜likesâ€™ emanating from the initial shot of the pair arriving in pit lane, topped off with a real conversational buzz as fans soaked up what was only the third public appearance by the band in their twenty-year history. Last but by no means least, Pinterest and Instagram were bolstered by a raft of superb images collated throughout the weekend; spectacular shots ranging from world-renowned musicians to specially designed helmets, stunning harbour side views and everything in between. Daft Punk â€“ quite possibly the most talked about, stylish and downright awesome band on the planet right now â€“ joined the Lotus F1 Team crew in the pit lane during the Monaco Grand Prix, with the bandâ€™s iconic logo and â€˜split helmetâ€™ imagery featuring on the E21, driver overalls and garage panels throughout the weekend. Lotus F1 Team is pleased to announce that EMC will accelerate the teamâ€™s move to a cloud-based IT infrastructure in conjunction with the development programme for its 2014 car. The team has partnered with EMC â€“ the global leader in enabling businesses and service providers â€“ to transform their operations and deliver information technology as a service (ITaaS). The Monaco Grand Prix proved to be a rather busy one in the Lotus F1 Team garage, made all the more challenging by the compact Monte Carlo paddock. I think this demonstrates just how talented he is â€“ to have made up those places around Monaco without any drama â€“ and perhaps also a little bit of how angry he was at losing fifth place and the points he would have otherwise scored. This race will be at noon for me and the qualy and practices will be at decent hours. But that not necessarily means I can watch it all anyway. But I'm not complaining, at least I have a chance to see some live, unlike the first 4 races who I had to follow on re-runs. I will also have the chance to finally see the pre-race show, but it will still feel weird to wait all morning for the race. How about our Europeans? Do American races fall in difficult hours for you guys? Stupid people at work have messed up my holidays so I'll miss this race. Instead of giving me the day off for the race on Sunday, it's went through on the Sunday the week after. Kimi RÃ¤ikkÃ¶nen's steamrolling towards the all times reliability-records has awakened the interest of even the last followers of statistics. In Canada RÃ¤ikkÃ¶nen has the opportunity to do a trick in which Fernando Alonso failed a year ago in Belgium - and catch Michael Schumacher's record of consecutive races with scored points. Then how does Kimi himself feel about these statistics? How much does the consecutive races with scored points mean to you? You could catch Schumacher in Canada and then go past him in Silverstone? â€“ Nah, it doesn't mean that much. I always try to score points in each race and win races. A row like that breaks at some point no matter what. All you need is that a small part goes apart and that's that for you. â€“ Of course it would be cool to get a record and it is in fact cool already to have so many races with points in a row. Earlier I had to retire quite often. In that sense it has gone well all the time in Lotus. â€“ Records in itself don't matter much. They come and go in sport. The most important thing is that I have achieved what I have always wanted, the world championship. 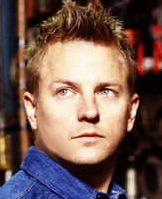 Nobody can take that away from me, RÃ¤ikkÃ¶nen said. I actually thought they would put Kimi and Perez in the press conference together. Raikkonen has taken the chequered flag once in nine attempts at the Circuit Gilles Villeneuve â€“ back in 2005 at a time when he was with McLaren. To triumph at the track requires not just skill but on occasion an element of luck given the variables on offer, not least the weather as rain can often strike as is forecast this weekend. But as Raikkonen proved in 2008 when vying for the win with Robert Kubica, sometimes the most unexpected events can occur. 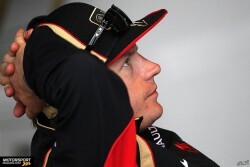 â€œI have won there which was pretty good, but I have experienced some setbacks there as well,â€� said Raikkonen. â€œMany times the race has been quite a lottery as there seem to be different things which affect it. â€œThe weather can change a lot; sometimes the tyres or the track arenâ€™t working very well; sometimes there are a lot of safety cars. Raikkonen experienced similar misfortune in Monaco 10 days ago when he collided with Sergio Perez, with the McLaren driver going for an improbable gap into the chicane on the Lotus star. It resulted in Perez later retiring with overheating brakes, whilst Raikkonen managed to salvage 10th after dropping to 16th following a pit stop for a change of tyres after collecting a puncture. Prior to the accident the 33-year-old Finn was running fifth and was only poised to drop a few points in the title race to Sebastian Vettel, but now finds himself 21 adrift. 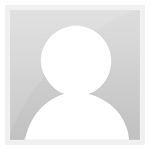 â€œFor sure we lost ground on the lead in Monaco, but itâ€™s not over yet,â€� added Raikkonen. â€œItâ€™s still early in the season and 21 points behind is not too much to catch up, especially if Sebastian has a bad weekend too at some point. 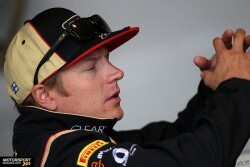 As for Raikkonenâ€™s spat with Perez, stating â€œmaybe someone should punch him in the faceâ€� to teach him a lesson given his driving exploits of late, he insists that is now in the past.